A big Thank You to everyone who came along to our fair today. We raised a fantastic £593.94!! 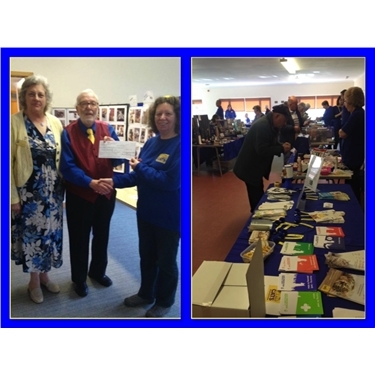 And our funds were also added to further by the generous donation of £270 by our great supporters David and Marion Canning, raised through the sale of their cat calendars. We'll post more about the photo competition in a separate post. Many thanks as always to our fabulous volunteers who work so hard to make these fairs possible.